Brand new from indie favourite, Micky & Stevie, this Scandi-inspired table lamp will make your room feel SO beautiful. The fabric shade features an original watercolour design of a moody mountain forest, and you can almost smell the scent of pine needles. The base is a tall natural and white wood pillar, which complements the shade perfectly, and makes a statement piece for your living room or bedroom. Like all Micky & Stevie designs, the Mountain Pines Lamp is something really special when turned on. 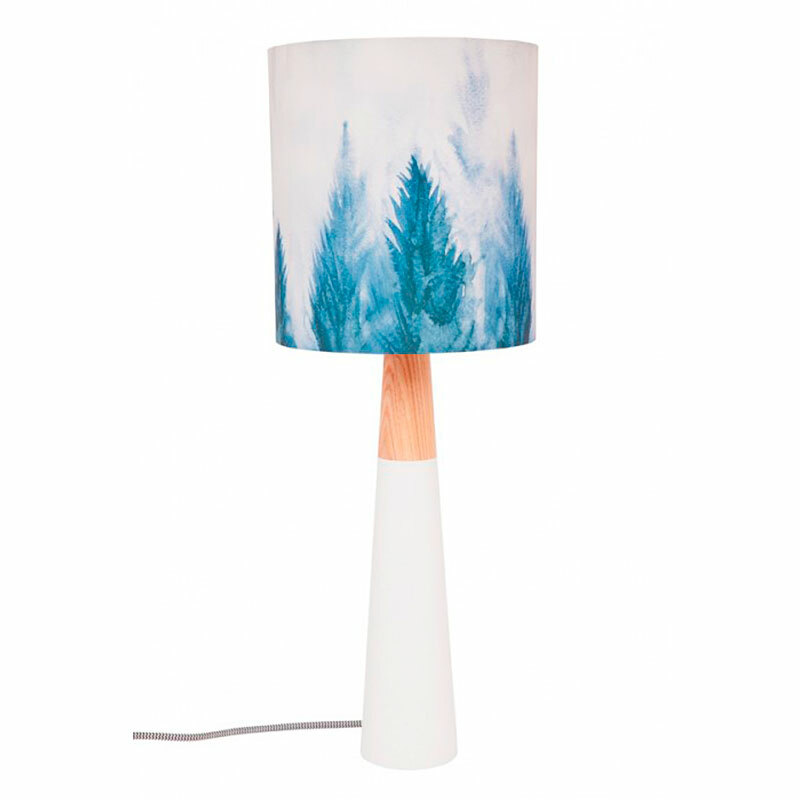 * Mountain Pines Fabric Table Lamp ships as a large parcel and does not qualify for FREE SHIPPING offers.